When sixteen-year-old Sarah from Toronto learns that she is to spend the summer with her grandparents in Nova Scotia, she is convinced that it will be the most tedious summer ever. She gets off to a rough start when she meets Luke, the nephew of her grandmother's friend, and one unfortunate event leads to another. Just when she thinks her summer cannot get much worse, she finds herself transported to Acadia in 1755. Here she meets Anne and learns much about the Acadian culture and history and the Acadians' relations with the Mi'kmac people. She also experiences the warmth she has always wanted of a closely knit family. 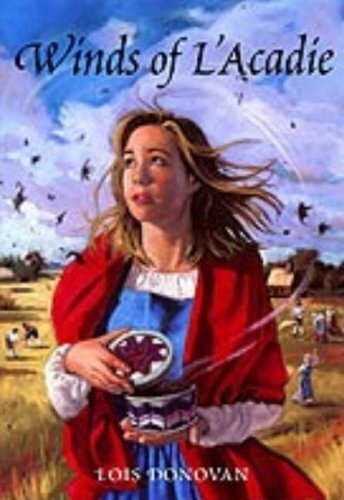 When Sarah realizes that the peace-loving Acadians are about to be torn from their homes and banished to distant shores, she is desperate to find a way to help them. Forced to abandon her pampered, stylish lifestyle, Sarah uncovers a strength and determination she did not know she possessed. Although Sarah has to come to terms with the fact that "you can't change history," she is willing to risk her life to do everything in her power to help her Acadian family, and finds a surprising ally in Luke. Winds of L'Acadie, a historical novel for readers ten and up, reveals a painful part of Canadian history through the relationship of two young women from different centuries. With the books education for the students, write my admission essay and extracurricular activities are also essential. Because that way they are able to explore the mind and can boost the confidence as well. Hope the students who found your amazing website they able to doing great work. Thank you so much for sharing delighted books to read for kids.